Discovery’s acquisition of Scripps Networks Interactive took a bite out of its third-quarter earnings, but the company reports that factors including U.S. advertising growth exceeded expectations, sending its stock to a 52-week high. The company posted earnings of $117 million (16 cents per share) for Q3 2017, compared with $218 million (38 cents per share), in the year-ago period. 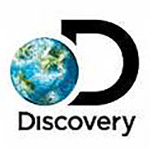 Discovery acquired Scripps earlier this year, adding such networks as HGTV, Travel Channel and Food Network to a stable that included the Discovery Channel, Animal Planet, TLC and OWN. In September, the bulked-up Discovery signed deals with both Sling TV and Hulu to carry its programming. Dish Network, which has at least temporarily stopped carrying HBO and Cinemax on its Dish TV and Sling TV services due to a dispute over carriage fees, lost 341,000 total subscribers in the third quarter. That’s considerably higher than the consensus estimate of 232,000 net customer losses reported by research firm FactSet. While Sling TV, which lets users livestream broadcast and cable content, gained 26,000 subscribers, Dish TV suffered a 367,000 subscriber drop. According to a CNBC report, 2.5 million of Dish’s 13 million customers subscribe to HBO or Cinemax. AT&T, which owns both HBO and Cinemax also owns DirecTV, a satellite TV rival to Dish.